On episode No. 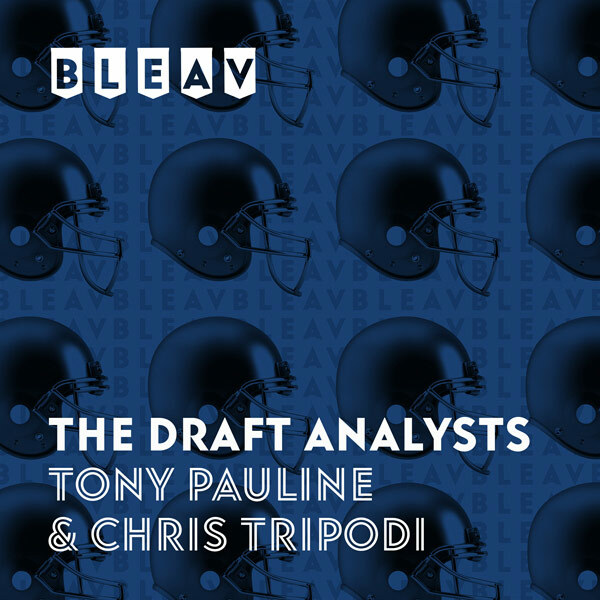 50 of The Draft Analysts, Chris Tripodi and Tony Pauline celebrate their 50th episode and discuss the reasons behind the mid-to-late March lull in news surrounding free agency and the draft. The duo previews important upcoming pro days for Houston Cougars defensive tackle Ed Oliver and Mississippi Rebels tight end Dawson Knox and connects the dots between NFL teams and UMass Minutemen wide receiver Andy Isabella and Michigan Wolverines linebacker Devin Bush. They also discuss small-school prospects who held pro days this week like James Madison cornerback Jimmy Moreland and Morgan State offensive lineman Josh Miles and break down Duke Blue Devils quarterback Daniel Jones’ pro day and where he’s expected to go in the first round.